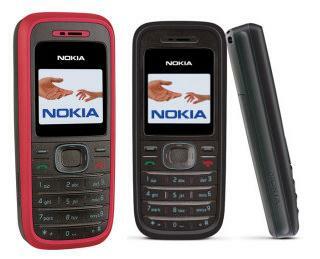 If you are planning to buy a new mobile set and that too of a low budget, then go for Nokia 1208. This cheap handset offers you great performance with various useful features. The handset is available in two default colors, red and black. The stylish looking handset is also very lightweight and weighs not more than 77 grams. So it is easy to carry the handset everywhere. With the one touch shortcut keys you can get access to the phone features. Texting messages in this mobile are incredibly easy and quick. This is a very user-friendly and dependable hand set. You can communicate with your contacts through SMS messaging service. You can send same message to multiple people quite easily. It saves up to 60 SMS messages in the message inbox. Hence most of the customers have stated that they are quite satisfied with Nokia 1208. It is very durable too. Nokia 1208 comes with preloaded 32 voice polyphonic ringtones. You can choose the ringtones according to your mood and style. It offers 2G network. People who don’t like the monochromatic display of their basic phone, can switch to Nokia 1208 as the CSTN display technology presents 65K colors. The text on the mobile screen is very clearly readable. The handset uses standard battery, Li-Ion 700 mAh. It charges very quickly and takes almost an hour to do it. The battery provides the users 7 hours of talk time or up to 365 hours of stand by time if it is fully charged. It facilitates the users to save the phone power by switching it to power saver mode when it is not in use, so that he can get more talk time. This mobile phone doesn’t include mobile camera, or audio and video recording features as it is a basic phone. So it has become popular among them who want only performance and less complicated applications. The phonebook allows 200 number entries. You can monitor your call records and track the call timings. The Time tracker feature also enables the users to pre set a call duration. When the time is over the call is automatically disconnected. This helps them to control their call expenses according to their budget. This mobile set is ideal for everyday usages as it provides all the features like alarm clock, countdown timer, stopwatch etc. If you have any important meeting then you can store it as reminder in the mobile set which includes the date, time and all the necessary information of the appointments.